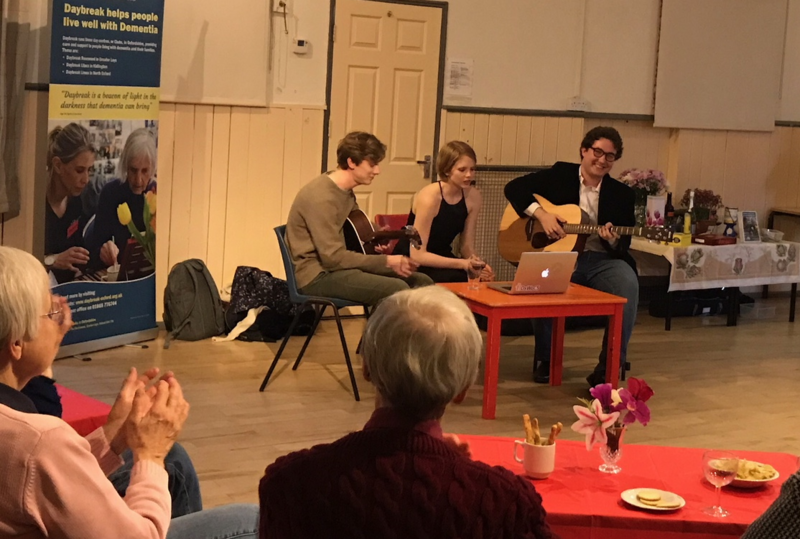 A big thank you to Mary, Matthew and Michael of the Germantown Collective who entertained us at a concert at St Margaret’s Institute on Friday, 27th April. We all enjoyed a smooth, chilled performance from these talented Oxford University students, who covered everything from Gershwin to the Kinks. The event also raised £290.00 for Daybreak. We are hoping for another concert a bit later in the year, so watch this space!